LINCOLN SQUARE — Famously hijacked during the 1985 filming of "Ferris Bueller's Day Off," Chicago's Von Steuben Parade has long since outlived its 15 minutes of silver screen fame. On Saturday, the parade will celebrate its 50th anniversary as part of the annual three-day German American Festival (itself now in its 95th year), set for Friday through Sunday in Lincoln Square. One of only three Von Steuben parades in the U.S. — New York City and Philadelphia are home to the other two — Chicago's event aims to preserve the cultural traditions of the city's German population, even as that culture evolves. Joyce Meiszner Csapo is among those who've been a part of the parade since Day One — she reigned over the inaugural proceedings as Kornbluemen Konigin (cornflower queen). Csapo earned the honor the Chicago way: By raising the most money. Women competing for the title sold cornflowers (one of Germany's national symbols) at German social functions around town, charging a quarter per bloom. "You got a can and we had a bouquet of cornflowers," recalled Csapo. "We went to events, table to table." Csapo pulled in $3,000 — "That's a lot of money getting a quarter a crack" — and the rest is royal history. The festival still crowns a new queen each year, but the practice of selling cornflowers has fallen by the wayside. "We paid 50 cents a flower and were charging a quarter. We lost money," said Erich Himmel, president of the United German-American Societies of Greater Chicago, which hosts the parade and festival. Relative newcomers to the city may be surprised to learn that the parade, centered on Lincoln Avenue in North Center and Lincoln Square, originally made its home Downtown. The first Von Steuben Parade floated along State Street and then it moved to Dearborn, which is where Ferris crashed the party. Occasional mishaps were par for the course. "One year, we were Downtown and I was announcing the parade. There was no microphone, no stage," said Inge Himmel. "This squad car, he stood there and let us use his speaker." Then there was the time organizers opted to hold the post-parade party in Grant Park. What they failed to realize when they booked the venue — beer sales were forbidden. No booze plus nasty rain and wind put a damper on the festivities, to put things mildly. "People didn't come," said Csapo. Over the years, attendance gradually dwindled to the point where there were more marchers in the parade than spectators, according to Inge Himmel, Erich's wife and lead parade organizer. "No one wanted to park," she said. City officials encouraged various ethnic groups, including the Germans, to relocate their parades to the neighborhoods. Lincoln Square, the longstanding hub of Chicago's German community, became the natural setting for the parade and accompanying festival. Erich Himmel said he expected to draw 40,000 to 50,000 people to the fest this year over the course of the weekend. That's more people, per square foot, than attend Oktoberfest in Munich, he's been told. As popular as the festival has become — attracting not only neighbors from Lincoln Square but people from across the city as well as tourists — it's unclear whether it will celebrate another 50 years. 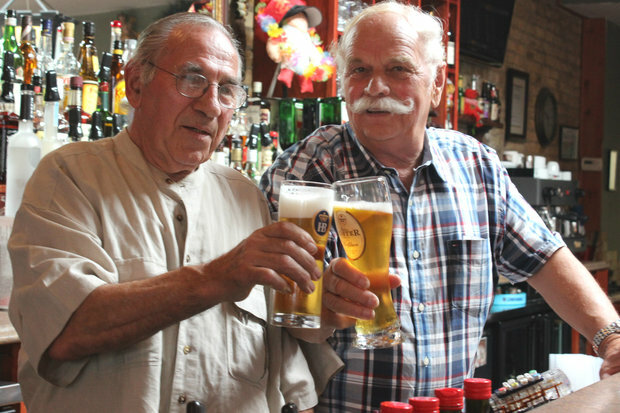 "We had a lot more Germans in Chicago 50 years ago," said Csapo. "Now we're third-generation and fourth-generation. The young people aren't taking an interest." 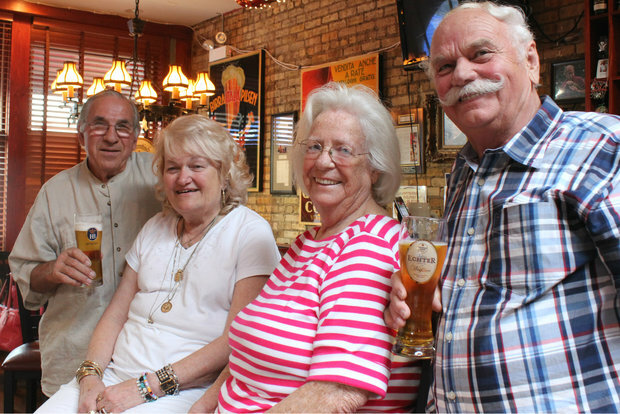 When the Himmels came to Chicago from Germany in 1957 and began raising their family, their social life revolved around the city's German clubs. Today, children have more choices, with German culture taking a back seat to sports and other hobbies. "The old people are dying off and young people aren't joining," said Erich Himmel. "We used to be 100 clubs, now we got 40 left." He has been president of the German-American Societies for 28 years because "nobody wants the work," he said. Newly arrived immigrants would seem the most likely candidates to boost the ranks of German organizations, but the number of Germans entering the U.S. has slowed to a trickle thanks to a strong German economy coupled with U.S. quotas that cap the number of immigrants. "Nobody is coming anymore," Himmel said. "It's a handful who come a month." So, why hold onto traditions that feel outdated to fully assimilated German-Americans, or rituals that people in Germany don't even practice anymore? It's a question that doesn't have a simple answer, or at least not one that's easy to articulate. "Because we're old Germans and we want to keep it going," said Inge Himmel, only half joking. Some of it has to do with sharing what it means to be German with those who aren't. "Germans like to sit together and eat and drink, sing and talk," said Andrew Csapo, Joyce's husband of 45 years. "The real German culture, it's got nothing to do with politics," added Erich Himmel, referring to misconceptions that still linger after World War I and World War II. And some of it has to do with connecting the past to the present, passing onto the next generation a sense of how German-Americans got from Point A to Point B.
Carol Himmel (Kornbluemen Konigin, 1983), Erich and Inge's daughter and co-owner of Himmel's restaurant with her sister Diana, is among those who absorbed these lessons from her parents. She's the longtime director of the German-American Children's Chorus (Kinderchor) and has taken over emcee duties for the Von Steuben Parade. 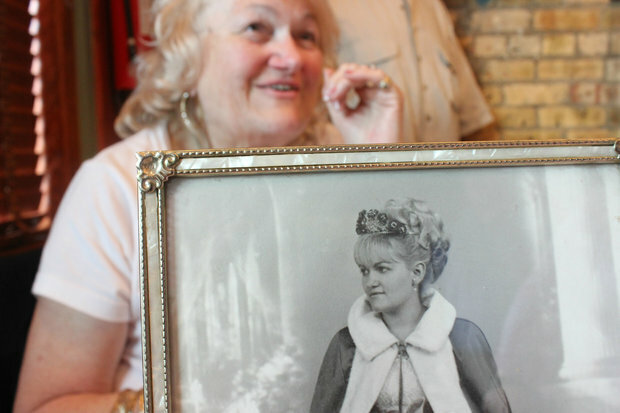 "They instilled in us that it's very important that we keep the German heritage alive in Chicago," she said. Unprompted she recites the story of how Erich and Inge arrived in the U.S. with $120 between them, not knowing a single soul or the language. She tears up when she gets to the part where they go to retrieve the lone trunk containing all of their possessions, and are told it will cost them $100 to claim their luggage. "Bottom line, we're proud of the way our parents came here from nothing," Carol said. "We learned how to work hard. We're not afraid to fight for what we believe in. We do things for pride, and for family." German-American Fest kicks off Friday at the junction of Lincoln and Leland Avenues and features food, drinks, entertainment and games. Admission is free. Hours are: 5-11 p.m. Friday with an 8 p.m. opening ceremony; noon to 11 p.m. Saturday; and noon to 10 p.m. Sunday. 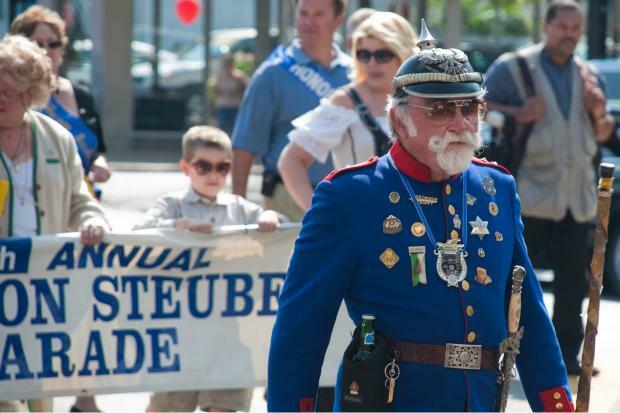 The Von Steuben Parade gets underway at 2 p.m. Saturday. The route steps off at Irving Park Road and Lincoln Avenue, traveling north on Lincoln to Eastwood Avenue, turning west on Eastwood to Western Avenue and winding up at Lawrence and Western.